If you fancy some exotic cuisine, then London Road has you covered: Chinese, Indian, Japanese, Thai, Vietnamese, Turkish – food from the four corners of the globe can be found on this humble Sheffield street. Tonight, we fancied a spot of Thai and, feeling adventurous, we opted for somewhere we haven’t been before: The Orchid. Inside, The Orchid is all red and gold, with plastic orchids lined up in the window. The decor is more traditional (read : dated) than modern oriental eateries like Sakushi and WasabiSabi, but it’s also spacious, well-lit and clean, so we weren’t put off by the tired decor. Feeling authentic, we ordered a round of Singha beers while we perused the food menu. The waiter inquired whether we’d like large bottles – “why not!” we said. A word of caution: these gigantic bottles come with an eye-watering price tag of £5.50 a bottle, something we weren’t aware of at the time. Although you get plenty of beer for your buck, I personally resent paying over a fiver for anything that comes in a bottle, and isn’t champagne or wine. Ravenous, we ordered a vegetarian mixed starter to share (£6.95) that consisted of mixed vegetable tempura, veg spring rolls and sweetcorn cakes. 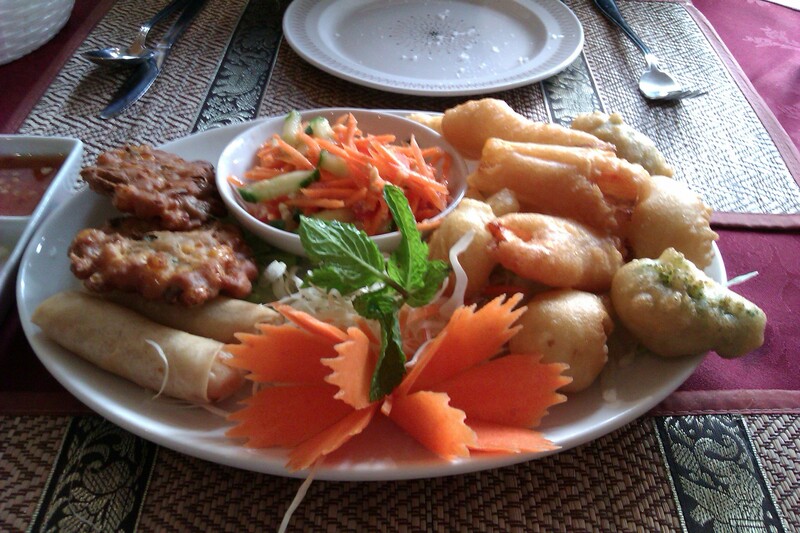 This battered platter arrived with a refreshing amount of greenery on the side, including some carved carrot, shredded cabbage, a mint leaf, and a crisp salad soaked in deliciously fiery ginger. The salad in its hot dressing was soon polished off, and we both raved about the tempura batter, which wasn’t in the slightest bit greasy. The grease-free spring rolls were packed with veggies, and the sweetcorn cakes were an unusual combo of juicy sweetcorn and crunchy peanuts. With a trio of dips thrown into the mix – sweet chilli, minty vegetables, and a creamy coconut-based curry sauce – the sweetcorn cakes, salad and spring rolls disappeared in double quick time. However, the mixed vegetable tempura divided opinion. There was a good selection of battered veggies; whole florets of broccoli and cauliflower, as well as slices of carrot and entire button mushrooms, but I found them a bit tasteless for my liking, and had to ladle on the dipping sauce. Thankfully, there was more than enough sauce to add extra flavour to the veg tempura. At the other end of the table, it was a completely different story, as the tempura won rave reviews. In the mood for something spicy, we ordered two red curries, one with tofu and vegetables and one with beef, which came in at a rather pricey £7.95 each. 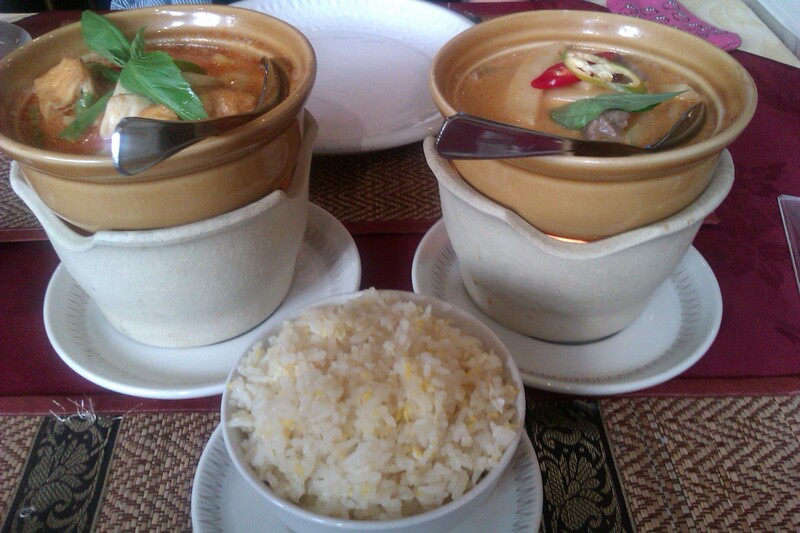 To complete our mains, we ordered a helping of delicious-sounding steamed thai fragrant rice (£2.10) and egg fried rice (£2.25). Our curries arrived nicely presented in bubbling pots on top of a candle, and I could already spot a good selection of vegetables – chilli, mushrooms, carrots and bamboo shoots. Finished off with a sprinkling of herbs, the curries looked, and smelt, wonderful. Despite being advertised with a “two chilli” rating, the red curries didn’t pack any serious kick and had the creamy richness of a korma. While I would have prefered something hotter, the rich sauce went down well, and the vegetables were still a little firm which gave them that satisfying crunch, especially the beans and bamboo shoots. The meat equivalent was bulked out with plenty of beef, and got a big thumbs up from our reviewer, as did the egg fried rice. Meanwhile, I was left wondering what made my thai fragrant rice so special, as it tasted exactly the same as plain old boiled rice. 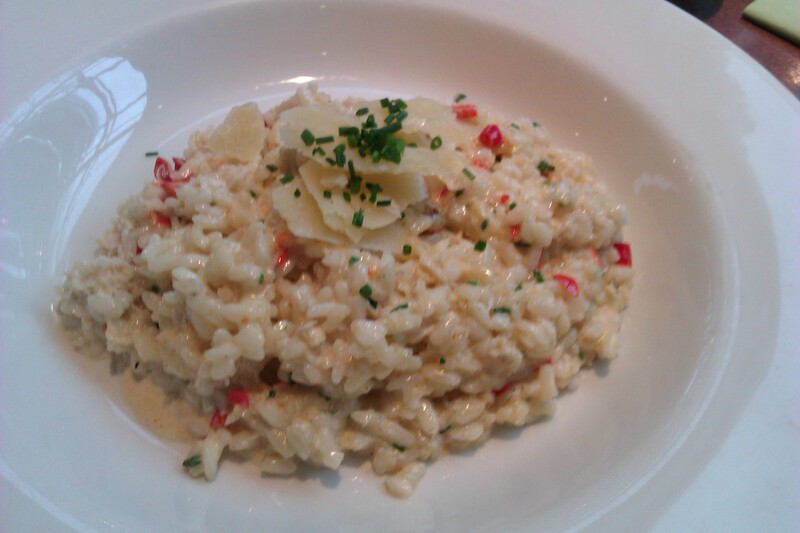 It also should be noted that at a tenner a pop, this curry and rice main is very expensive for the amount you get. Those expecting to come to The Orchid for a curry and be full, are going to be disappointed. 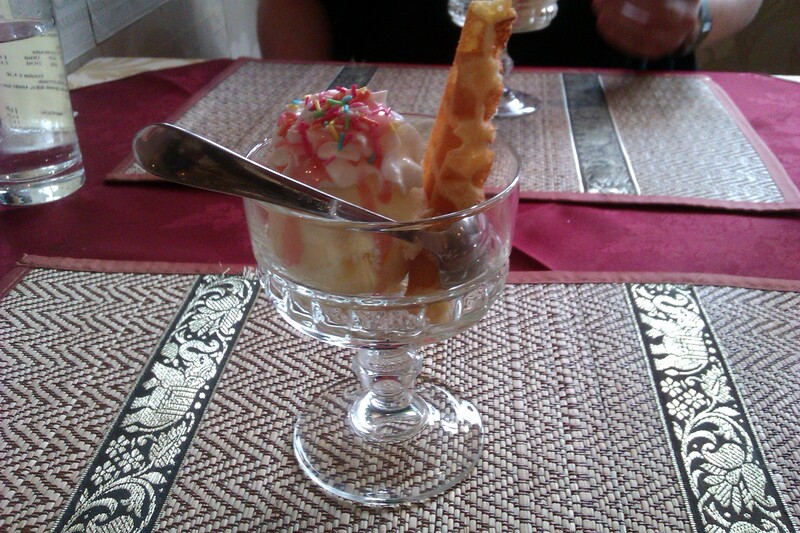 To cap off our thai feast, we ordered some ice cream, which was served in retro-tastic fashion, complete with colourful sprinkles and a slice of chewy waffle. It was just enough, and the oldschool presentation was very cute. The grub at The Orchid comes in slightly stingy portions, but there’s no skimping on quality and taste. It’s the sort of place where the tempura isn’t a heaped plate of defrosted, deep-fried pureed veg, but a handful of carefully-selected fresh vegetables. A little on the pricey side and a little dated in terms of decor, but our three-course thai feast was consistently tasty, with quality, fresh ingredients used throughout. Just remember to bring plenty of cash with you, and book in advance because this place gets busy! 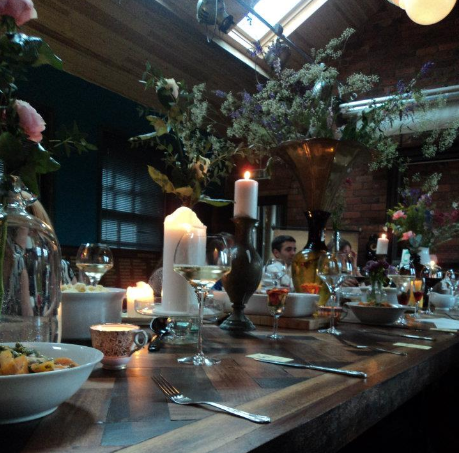 Available for weddings, parties, functions and what must surely be the BEST corporate meetings in the world, The Chimney House is one of Sheffield Eats’ all-time favourite venues-for-hire. Clearly, we’re not the only ones loving a bit of The Chimney House, because it recently came second in a list of the ‘World’s Most Creatively Designed Boardrooms,’ beating venues in Berlin, Sweden, Cape Town and Baltimore, to name but a few. 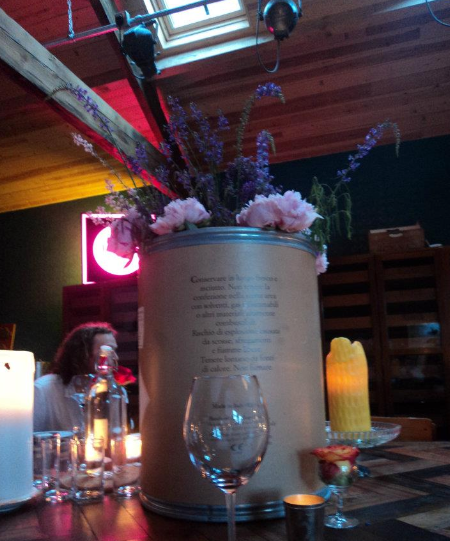 So, we were ecstatic when the lovely Chimney House folk invited Sheffield Eats to their Summer House Party. 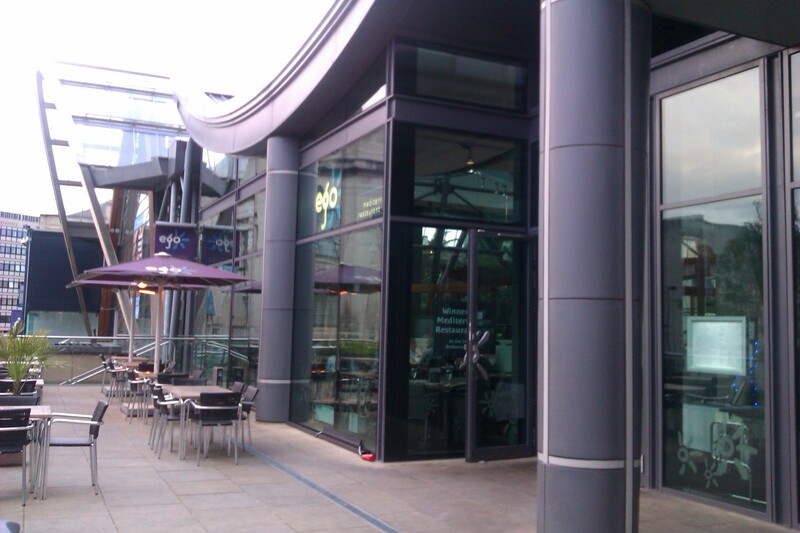 A night of being wined and dined in a world-beating venue? Needless to say, we were a tad excited about this one. The Chimney House is a building with a rich history. 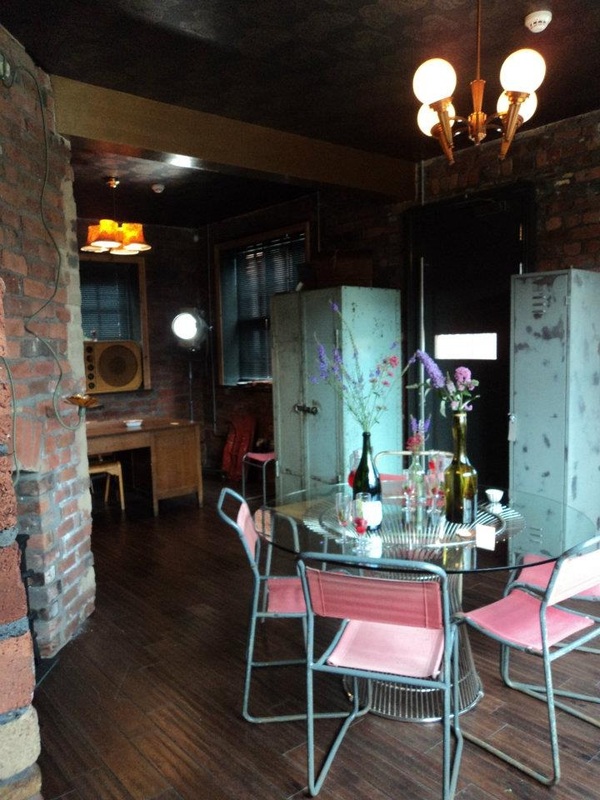 The grade-listed building, located in Kelham Island, was rescued and restored by Sally Clark and Tim Hubbard, who used recycled material from salvage yards and reclaim sites to create a quirky party venue that remains true to its roots. 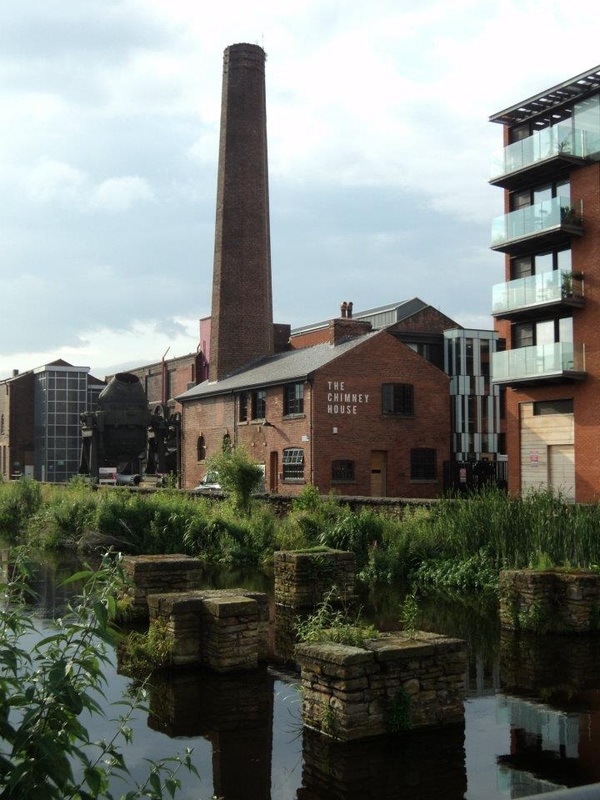 With its towering red-brick chimney and unique ‘industrial-chic’ vibe, The Chimney House is located next door to the Kelham Island Museum, surrounded by cobblestones and factories – it’s a striking building in a very fitting location. 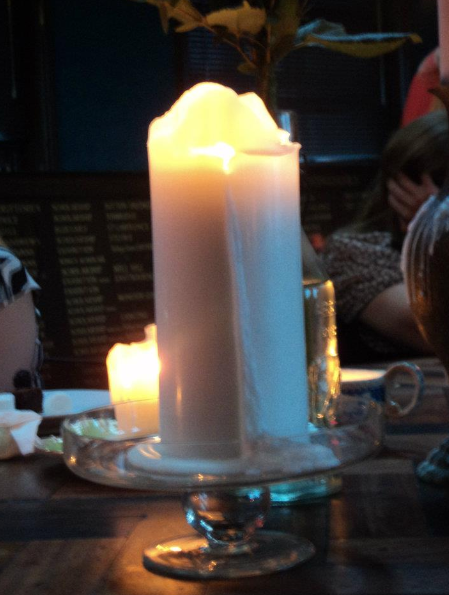 We arrived fashionably late to The Chimney House’s soiree (and through the wrong door!) but the eagle-eyed hosts soon spotted us and brought our before-dinner cocktails: champagne flutes packed with a fresh raspberry puree, and a morish cocktail of gin, mint leaves, a hint of what tasted like prosecco, and more fresh raspberries. Even better, the lovely Chimney House folk were only too happy to keep our glasses topped up with this summery punch. We even spied them popping into the back and fetching glasses of beer for those who didn’t share our unquenchable thirst for cocktails, and mugs of cloudy ginger beer for anyone not on the sauce. The Chimney House’s reception room offers a peek of what this world-class venue has to offer: a combination of homely charm and artistic flourishes. When it was time to eat, we were shown upstairs to the main function room – which didn’t disappoint. The room was dominated by a farmhouse-style table, heaped with eclectic decorations that ranged from Italian gunpowder barrels crammed with fresh flowers, to vintage teacups that served as tea-lights, to champagne flutes topped off with a single rose-head. I’m sure you’ll agree, that The Chimney House’s attention to detail and artistic flair turns a simple dinner into a work of art. There was just enough time to marvel at all the beautiful fresh flowers and flickering candlelight, before our hosts told us to tuck into the grub – we needed no more encouragement. The food, provided by local company Coco Catering, took the simple notion of a pie and pea supper, and did something magical with it. Served in big, farmhouse pots, the mash was seasoned to perfection, and so rich it could only have been laced with butter and cream. Our party simply could not get enough of the mash, ladling second and third helpings onto our plates. We could have eaten a plate full of the mash on its own, and probably would have, if the pie hadn’t been equally amazing. 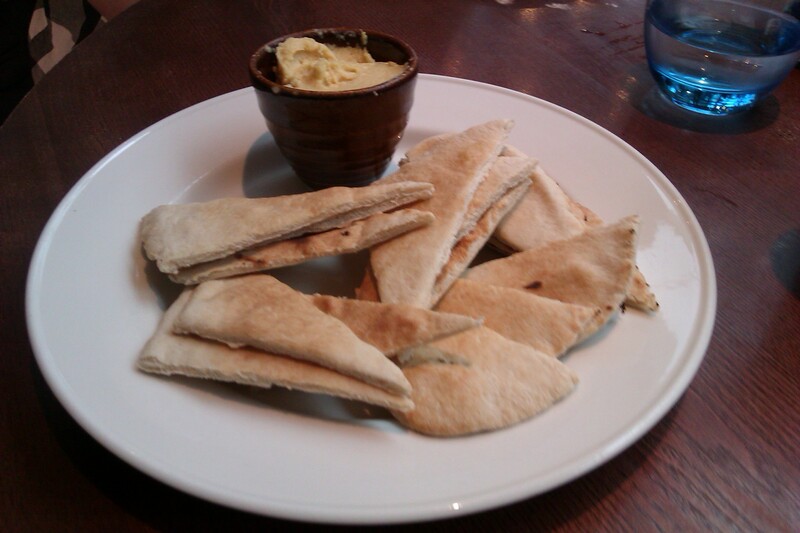 The Chimney House had thoughtfully provided both vegetarian and meat pies. 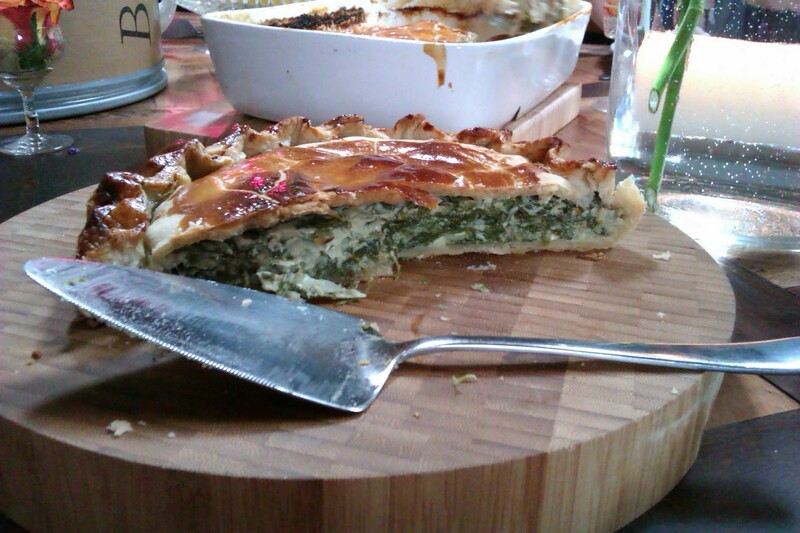 Instead of the vegetarian pie feeling like an afterthought, this spinach and ricotta treat had even the carnivores at the table helping themselves to a slice. 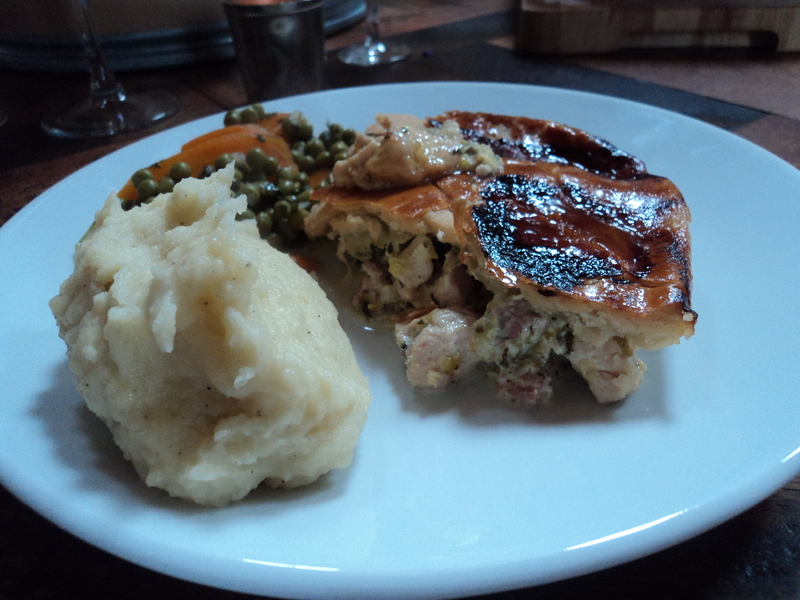 The pastry was light and crispy (which left room for more mash – win!) 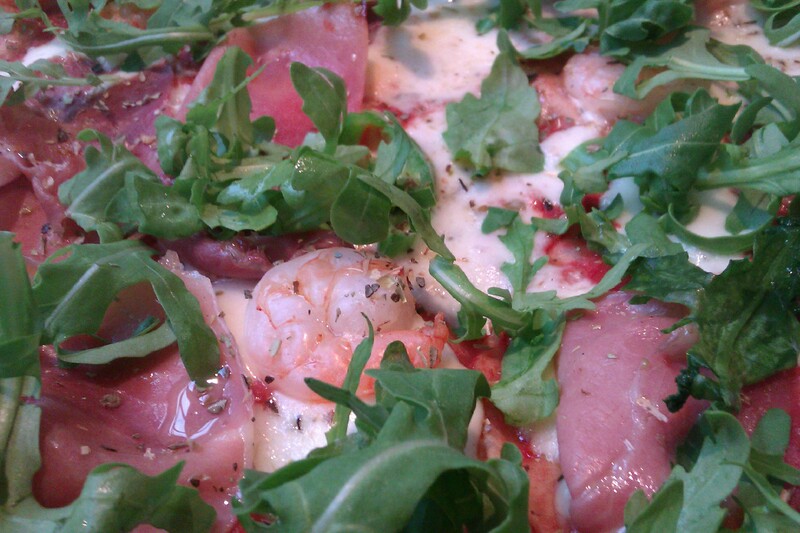 and packed with indulgent ricotta and tangy spinach. The meat option was just as good. 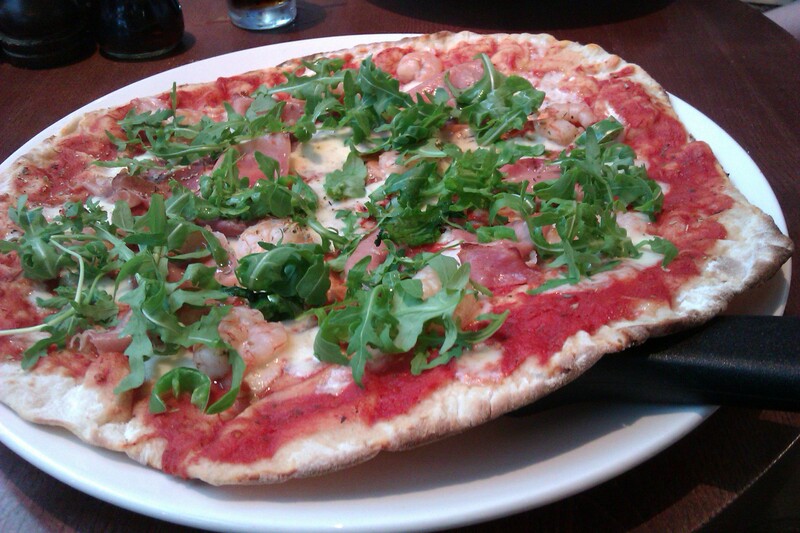 The crust was slightly heavier, but it had a lovely, oven-darkened top and the meat was melt-in-the-mouth tender. Whether you’re a veggie or a carnivore, Coco Catering can provide the pie of your dreams. To offset the guilt of heaping on the mash and helping ourselves to a second slice of pie, we squeezed some veg onto our plates. 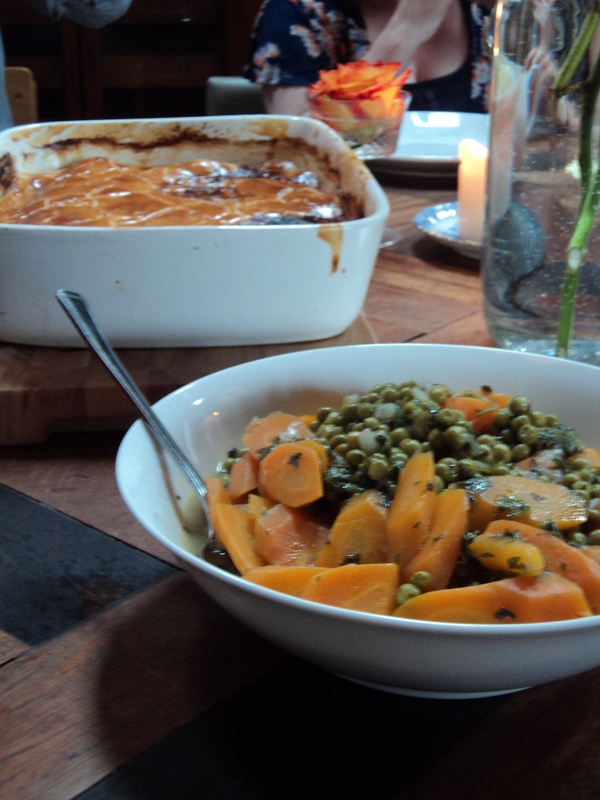 Somehow, Coco Catering’s culinary wizards managed to make peas and carrots a taste sensation. Throughout our meal, the hostess herself kept our glasses topped up, and both the red and the white options were delicious. With our glasses never running dry, I have to admit we overindulged – but we had multiple helpings of peas and carrots, so this still counts as a healthy meal, right? We were jokingly wondering ‘what’s for dessert?’ when The Chimney House crew called our bluff and brought out the dessert trays. Our couldn’t-eat-another-bite horror evaporated when we saw the perfect, bite-sized sweet treats. 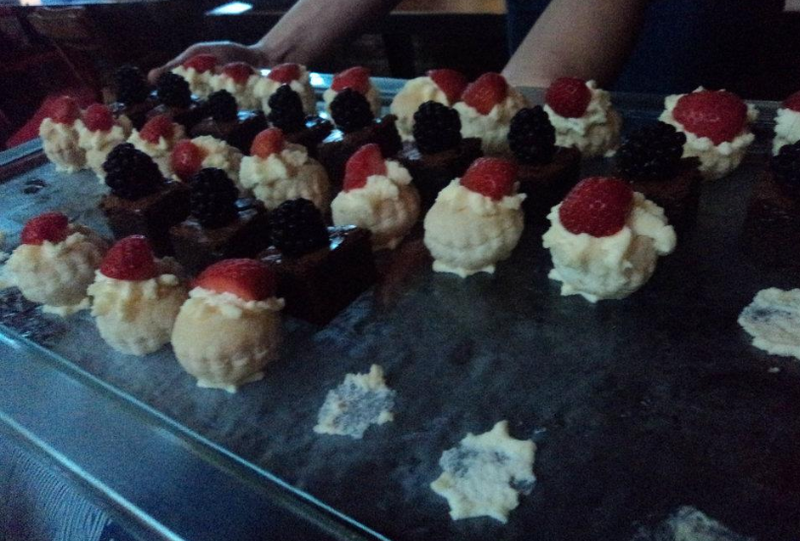 The first was a cube of chocolate brownie topped off with a fresh blackberry. Blackberry and chocolate brownie isn’t a combination I’ve encountered before, but the juicy blackberry delivered a sharp tang that took some of the edge off the dark chocolate. How good was it? Well, I was completely stuffed before I had my first brownie, but I still found room for a second one….. The other dessert on offer was a light scone base topped with a dollop of cream and a strawberry. 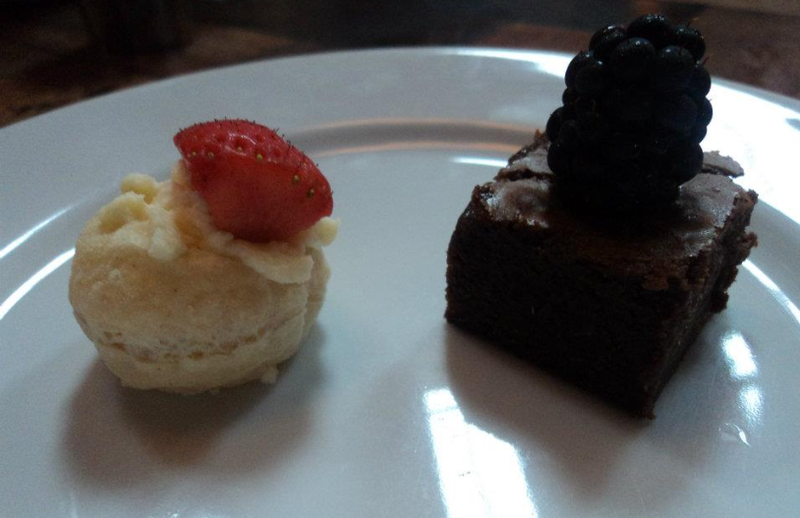 These little puffs of air were the perfect contrast to that decadent chocolate brownie. To finish off our meal, The Chimney House folk brought around bowls of marshmallows; a fittingly quirky way to end an amazing meal. The only criticism I can level at The Chimney House is that it isn’t a pop-around-whenever venue, because this is one of those places you’ll want to visit again, immediately. Instead, we have to wait until the next birthday party, or corporate function gets booked there (boo!) The Chimney House and Coco Catering are a match made in heaven – a stunning venue, lavishly and uniquely decorated, paired with food that is both homely and absolutely rave-worthy. Judging from our night at The Chimney House, munching on Coco Catering’s grub, I honestly can’t think of a reason why you’d book an event anywhere else. Disclaimer: we ate and drank (a lot!) as guests of The Chimney House.